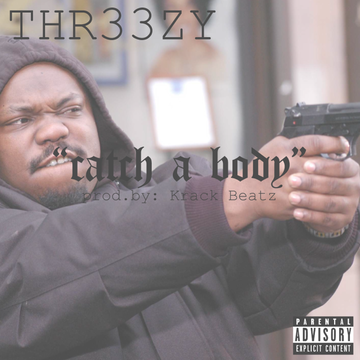 Thr33zy drops a new one called "Catch A Body". Thr33zy gave us a new record called "Make Me High" about a month back, which had the rapper experimenting with melody, and making a fun and sunny smoking record. "Catch A Body", as you may be able to tell from the title covers darker territory, built off of a menacing trap beat, and built off of the "If it's bodies, I'mma catch one" refrain. The rapper still manages to bring more to the table than just straight-up aggression, delivering plenty of catchy couplets and flows. Thr33zy is currently preparing an 8 song EP titled Hawaiian Shirts at Ruth's ChrisÂ for the top of 2015. We'll have to wait and see if this record makes the cut.